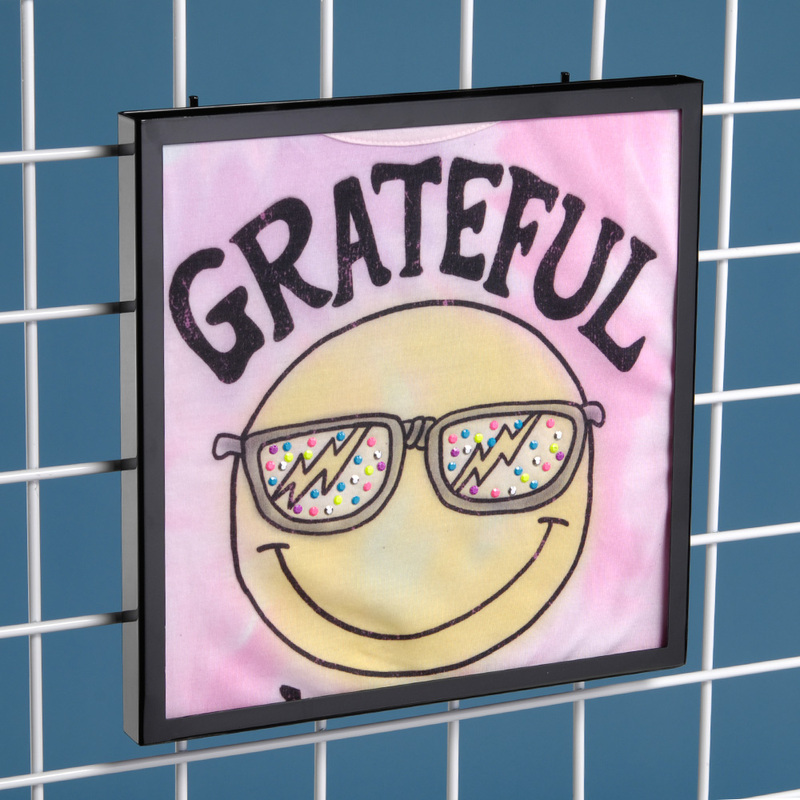 Perfect for pegboard, this black metal frame T shirt display includes an acrylic front to protect shirts from dust. 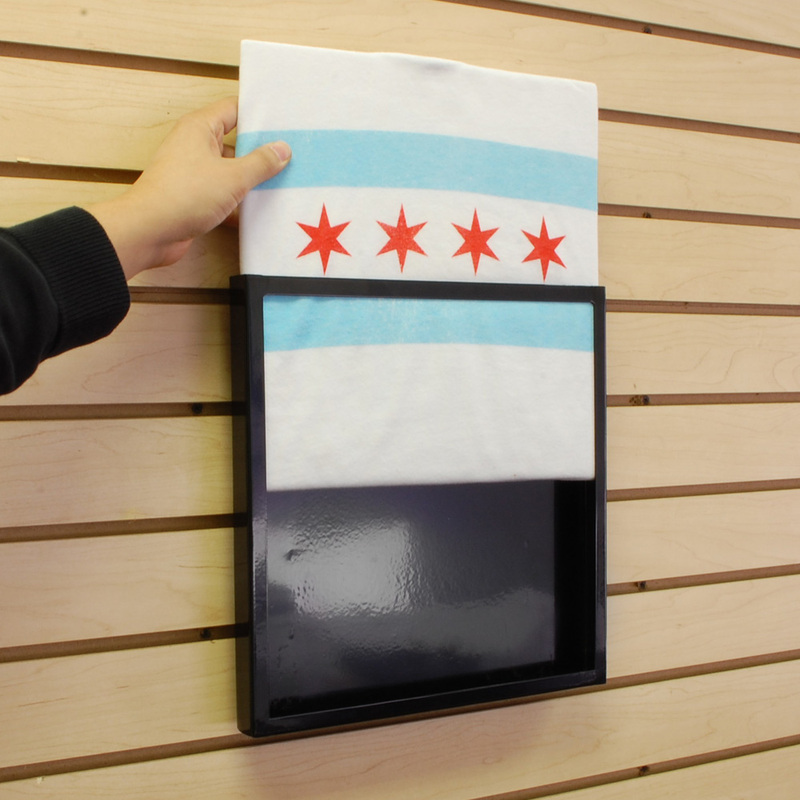 Or you can simply use the acrylic as an insert to keep shirts flat. 12 in.w x 1 in.d (inside 3/4 in) x 12 in.h.